The Great Doll Blog Award! Sorry I have not been very active, but I have been VERY busy with the school year coming to an end. I’m happy to have finally had time to get on my computer and do a post. Thanks so much Canadian Doll Notebook for nominating me for this award! Nominate at least 5 others who you think have a great doll blog. Leave them at least 5 questions to answer. 1)What one doll do you want to add to your collection and why? I would like to add American Girl Truly Me #24 to my collection. I’d like a mini me doll (doll that looks like me), so I’d eyeswap her so she would have blue eyes. 2)What was your favorite adventure you took your doll on? I really enjoyed when I took my Lottie doll with me to Maine last summer. We had lots of fun adventures. 3)How did you come up with your blog name? I really just brainstormed my favorite blog name ideas and looked to see which ones were already taken. 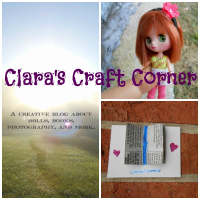 4)What do you love most about having a doll blog? I love the supportive community and everyone who comments and likes my posts, it really brightens my day. 5)Which of all your doll posts are your favorite? I like my photoshoots, they’re fun to do and share. Now, I’m going to nominate 5 blogs to do this award! Which doll is your favorite from your collection? When/why did you start your blog? What will your dolls do over the summer? What is your favorite doll accessory? What is your doll’s favorite outfit and where is it from? Hey guys! I’m excited to show you some of my favorite doll today! My Froggy Stuff’s Doll Romper vid on YouTube It would be perfect for Lea Clark! I love this Journey Girl’s Wooden Lounge Set for $64.99, it looks so comfy! This slouch dress from Allysews on Etsy is adorable! The colors look so vibrant and pretty! It is $16.41. FauxRealFood on Etsy made this cute sushi set. I love sushi, and I think my dolls would also enjoy it. You can buy this set for $14.50. Lilo is a Disney Animator Doll and is available on the Disney Store’s website for $24.95. I love how her outfit and accessories stay true to the movie. What could be a cuter accessory for your doll’s kitchen than this ice cream scoop available for $5.25 on DollyDormDesigns on Etsy. 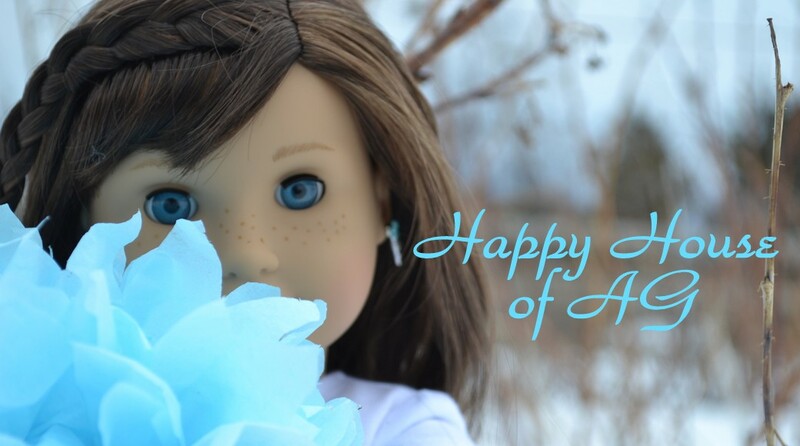 I had a request for a post featuring my 14″ Hearts for Hearts doll. Hearts for Hearts was an amazing doll line, and you could buy them at Target for fantastic prices! A little over a year ago, the line was discontinued without warning after 2 new dolls had been released. I went to Target back when they were still in production and decided to buy the newest doll as soon as I could. I went back a week later and they were off the shelves, suddenly prices went up on Ebay, and I knew something was wrong. Luckily, I had added Nahji to my collection the year before. People are still puzzling over the fact that Playmates shut down production when the dolls were so popular. On a higher note, today I have some pictures of Nahji. I also have Chai Time with Nahji/Deluxe Playset, but this post just features the doll itself. At 14″ they are 4″ smaller than American Girl Dolls and make the perfect little sisters! This book is too big!!!!! Help me! Oh yes, I forgot Nahji is joining us for the review so you can get to know her! The doll comes with a book and comb with a rubber band (way to small to do any hairstyle, even a simple pony tail). She also came with a bracket/necklace for girls, but I lost mine. She came with earrings, a necklace, headband, and bracelets. They were pretty small and the only ones I could find were the gold bracelets (Look on the cover of the book above to see her other accessories). I’m bored, let’s head outside!!! The doll has rooted, silky hair and it’s really nice quality considering I got her for around $20-$25. She has a hard plastic body with really detailed features. Nahji’s an amazing doll, and if you can find her at a decent price I highly recommend her! I did some researching for you guys on Ebay and found an absolutely ridiculous listing, it comes with 7 of the retired outfits and 10 dolls for $1098.98!!! Of course, the doll I went into Target for, Surjan, is not on Ebay or Amazon even at ridiculous prices, she’s not there at all!